Doug Hazen serves as the National Director of Mobilization Prayer at World Venture. His job is to pray that God would bring people who want to share the Gospel around the world. Today, he shares the story of how God has led him to this position. The stories that Doug shares of the big events in his life that challenged his trust in God like resisting God’s call to ministry, finally surrendering, and serving as a missionary in the Republic of Congo (then Zaire) where refugees streamed across the boarder from the civil war in Rwanda. He and his family were robbed at gunpoint, he almost killed a child, and felt like a complete failure which caused him to face his brokenness. And that’s where this episode ends. 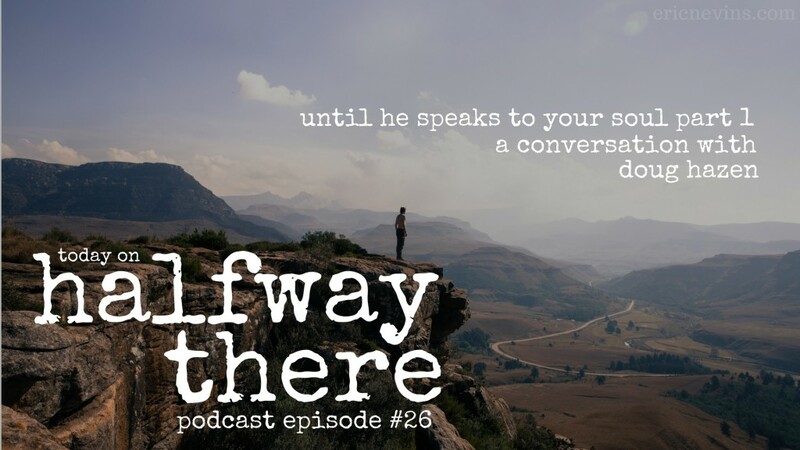 There’s a lot more to the story and we’ll pick it up the next episode because Doug and I spent another hour or so talking through his story from the brokenness he left the mission field with to the ultimate restoration and the fruit God brought in him. I would say the greatest part of my spiritual formation I attribute to my dad and to my mom. Dad because of his faith and pastoral skill. He taught me that loving God and loving people are the two most essential characteristics of a pastor. And my mom taught me that the Word of God speaks today. The journey of determining God’s will is kind of like getting bounced back and forth between doubt and confirmation. I don’t need to understand God’s will in order to have peace. One of the principles I learned is when you’re going through stuff consistency in God’s word is not the answer. The answer is sufficiency in God’s Word. You better be in God’s Word until He speaks to your soul. Did you relate to Doug’s story? Be sure to listen next week for the rest of the story. And tell someone you know who would enjoy Halfway There about the show. It’s the highest compliment you can give. Also, if you haven’t yet, stop by iTunes and subscribe. Leave a review which helps our visibility in the rankings.